Take your living room decor to the next level with a two-tier coffee table. A dual-level option gives you even more space than a traditional table or ottoman for convenient storage and displaying cute decor accents. Follow these tips to perfectly style your double-decker living room centerpiece in no time. Treat the top tier of your table as if it were a standard coffee table. That means all the standard rules of coffee table decorating apply. Try to pair decor pieces in twos or threes to keep any single element from looking isolated. Use decor of varying heights to add weight and visual interest. Finally, avoid clutter. Leave plenty of open space so the table surface can be used for other activities without much hassle. 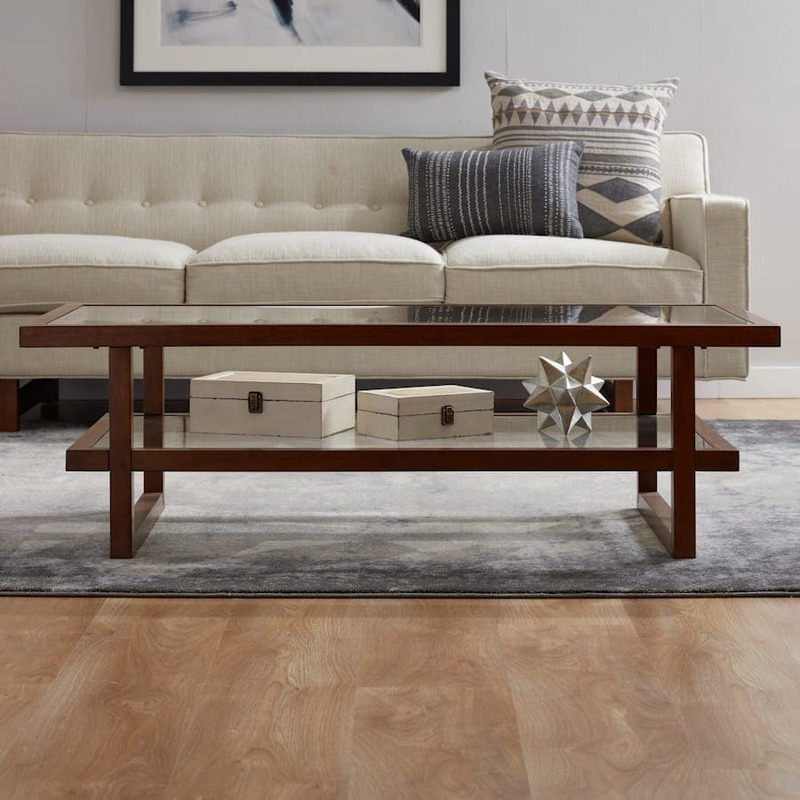 The bottom level of your coffee table offers limited vertical space, so decorate it with low-profile accents such as stacks of books, a serving tray, or a small chest. If you use the lower portion as a purely decorative space, you can keep your arrangement from getting stale by switching out certain items for seasonal decor to set the mood for upcoming holidays or celebrations. The lower tier of your coffee table isn’t completely hidden, so if you’re going to use it as a functional storage space, dress it up a little bit. Try using shallow woven baskets to hold neatly folded throws or books and magazines. You can also fill the baskets with wicker balls or other small decor accents. You’ll be able to tuck away a surprising amount and still have those items easily accessible whenever you need them. 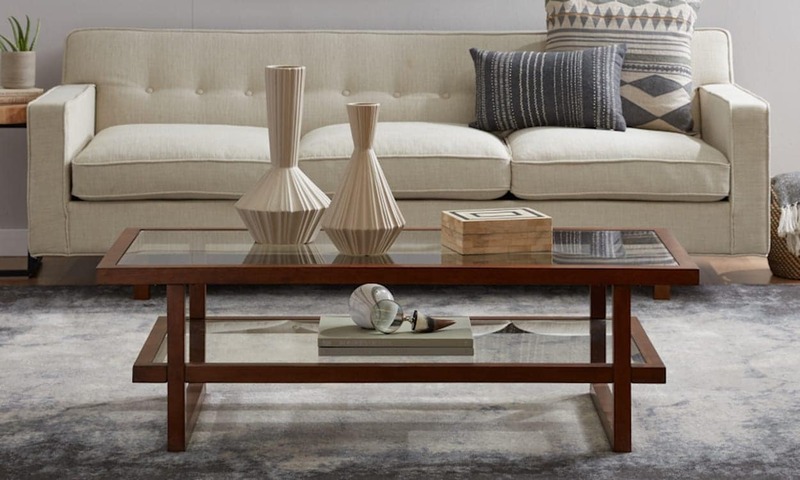 Capture a delightfully simple minimalist look by only decorating one level of your two-tier coffee table. 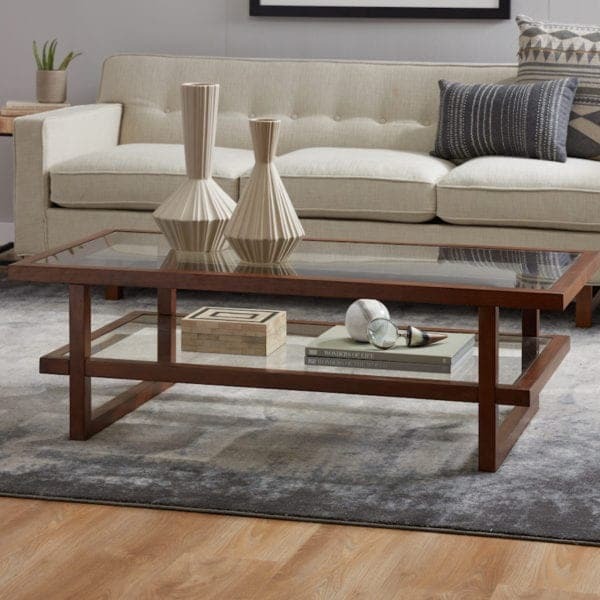 Leaving the upper tier bare allows the table to be used for hosting impromptu meals or playing board games, but leaving the lower tier empty sets up your coffee table as a mostly decorative piece. Choose the look that works best with your space and surrounding living room decor. Have a design dilemma? 🤔 YOU ask, WE answer. Comment below with your questions and use the hashtag #asktheO.